Due to the pending snowstorm for today, the Saddle Brook Public School District has announced an EARLY DISMISSAL for all SB Public Schools for TODAY, JANUARY 21st, 2014. The SB High School and Middle School classes will end at 12:25pm. 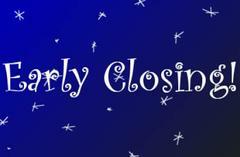 All Elementary Schools classes will end at 1:00pm. All Aftercare, After School Programs and the Community School PM classes are cancelled.